We want to make you feel as comfortable and relaxed as possible shopping with us on our site and that is why we offer you a money back guarantee. If you are not completely satisfied or just simply change your mind Ross’s will refund your complete or part purchase. This guarantee is in addition to any rights you may have under law and applies to all items in the store. Please take the time to read the terms and conditions. It’s not a heap of complicated words written to confuse anybody, just honest business requirements. 14 days – If you wish to return an item purchased you must contact us within 14 days of delivery of the product as per the terms and conditions below. The procedures and terms and conditions below strictly apply. If your return is accepted under this Guarantee policy we will arrange to refund the product purchase price – otherwise, the item will remain your property. It is important you understand and follow the procedures and terms below and that the product is returned in “as new” and 100% re-saleable condition. The return delivery costs are the responsibility of the Purchaser. You must contact us within the stated calendar days of delivery of your Purchase or Product. You will need to provide us with the Order number and the Product Number (SKU) of the item you wish to return so please have these handy. Please contact Simon or Callum on either (08) 9378 2233 – [email protected] we will provide directions for the return of the Product. The return directions will require the customer to return at their own cost, or if we arrange postage/freight the cost of this will be deducted from any refund. ORIGINAL PACKAGING: in all its original internal and external packaging. WRAPPED TO PROTECT PACKAGING: with a protective outer wrapping to protect from labels and writing on package (we recommend wrapping in plastic or equivalent). NOTE: do NOT write on or stick anything on the Product or its packaging. Please only write or place postage stickers on the protective wrapping. Non-adherence to this condition may result in the Product return being rejected or You incurring a re-packaging fee of 10% of the purchase price of the Product(s) (subject to a minimum of $20.00) which will be deducted from your refund. You must then return the product as per our directions within 14 days of us authorising the return. Items remain your property until the point that Ross’s accepts them under this policy if they decide to do so. So while they are in transit as a return they are at your risk so please ensure they are securely packed, and the shipping includes tracking and insurance. Ross’s will not be responsible for any return items lost or damaged in transit under this Guarantee. Ross’s has the sole right to assess the condition of the Product before approving a refund, credit or replacement. 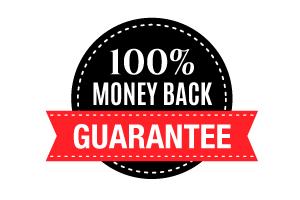 Where the terms and conditions of this Guarantee have been met, we will accept the product as a return and approve a refund or credit and will send an email confirming this. Ross’s will refund the purchase price of the returned product less its delivery/pick up costs if any. Where the terms and conditions of this Guarantee have not been met, we may reject the Product as a return and disapprove any refund. If Ross’s rejects the return, the Product will remain your property. If the return is rejected, You may elect to arrange collection of the Product from Ross’s or seek to agree to delivery of the Product back to You. If Delivery Costs have been incurred by Ross’s in facilitating the return process these will be payable by You to Ross’s. We reserve the right to deduct such Delivery Costs from any refund or store credit. Delivery Costs include the actual costs paid by, or the costs advised by Ross’s to deliver the product to you and/or collect/return it, or if these costs are not available, will be calculated at the current delivery fee of $120.00 each delivery leg within the Perth metro area. Where possible, refunds will be executed through a reversal of the initial customer transaction at our complete discretion. The customer will be provided with e-mail acknowledgement once the refund is processed. Ross’s accepts no responsibility for any delays in receipt of the refund due to the payment gateway or financial institution processes.